Baptism (Christening) is a sacrement which can be performed at any age and at St Mary's we regularly baptise babies, children and adults. 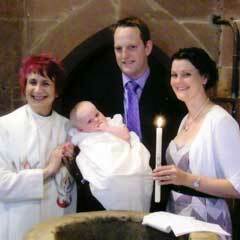 When you are baptised you formally become a member of of the Christian Church. If you would like to talk to us about baptism, please telephone 01564 772415 or use the contact form here. 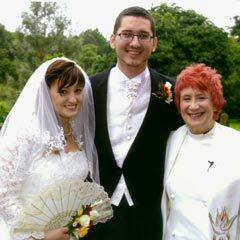 parents and Godparents need to commit themselves to giving the child a Christian upbringing within the family of the Church. they should help the child to be regular in public worship and prayer by teaching and example. You can download a copy of the baptism service and an application form from this web site. For an adult baptism you will be asked to make the promises of baptism for yourself, repenting of your sins and turning to Christ. You must declare before God that you accept the Christian faith. The baptism of adults is sometimes followed immediately by confirmation and first Communion. 01564 772415 or use the contact form here. Confirmation is for those who are old enough to renew for themselves the promises made at their baptism by their parents and Godparents. 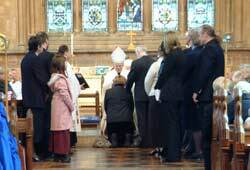 Confirmation usually takes place at a service of Holy Communion at which the Bishop presides. Un-baptised candidates are baptised and the Bishop prays that the Holy Spirit will come upon those who are to be confirmed. The service continues with the celebration of the Holy Communion where the newly confirmed join other in receiving the Sacrament. If you would like to talk to us about Confirmation, please telephone 01564 772415 or use the contact form here. If you would like to talk through what might be possible, then please get in touch with us. We are here to help support you and encourage you if we can. We want to make the day special and memorable for you. This means getting to know you and planning for the service together. You can telephone 01564 772415 or use the contact form here. Here at St. Mary's we wish to offer you every possible support at the time of the death of a loved one. If you need any information about arranging a funeral you can contact us, or local undertaker will also be able to advise you about the necessary arrangements. St Mary's Church is available for both funeral and memorial services. Alternatively, if you would like to talk to someone following a bereavement please contact us.